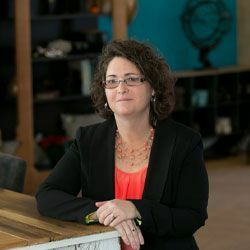 Janelle is master of many tasks as an assistant for Henrietta Heisler Interiors, Inc. and also as the property manager of the Historic Wacker on Walnut Building that houses the HHII Design Studio and Showroom. She coordinates projects and is incredibly detail-oriented. Janelle has a Bachelor of Science degree from Bloomsburg University with a concentration in Accounting. Outside of work you will find her volunteering for Strides Against MS.